A cardiac CT scan is a scan of your heart which is carried out using x-rays. 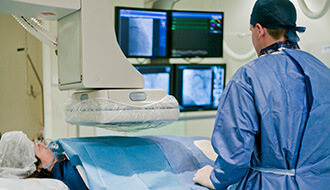 It is also sometimes called CT coronary angiography or computed tomography, and is performed by a cardiologist in order to understand your heart health and to prescribe a suitable treatment plan. It is a painless imaging test which allows a detailed picture to be taken of the heart and surrounding blood vessels. It can be used to augment other diagnostic findings, evaluate your risk for developing coronary heart disease, and check any grafts implanted in a previous heart bypass surgery. Unlike a full-body CT scan, your head remains outside of the scanner during the process, which means that you are unlikely to feel the claustrophobia that is sometimes a side effect of a regular CT scan. The scan takes around 15 minutes to complete. Prior to having a cardiac CT, you will be given a blood test to check your kidneys, a thorough medical history evaluation, and possibly a short course of beta-blocker medication, which will steady and slow your heart rate. This is necessary because the heart rate needs to be less than 63 beats per minute in order for the cardiac CT scan to be effective. A special dye is injected into the bloodstream before the procedure, which allows better visibility of the heart and its surrounding structures. Cardiac CTs can be used to diagnose congenital heart disease (birth defects affecting the heart), lipid plaque build-up in the coronary arteries, defects in the hearts four primary valves, blood clots in or around the heart, and tumours. If you are experiencing any cardiac symptoms, or would like to talk about an existing condition or diagnosis, please do not hesitate to make an appointment with a specialist from our team. We are available six days a week, call us to book. Is a cardiac CT scan similar to a regular CT scan? The x-ray technology used is the same, but you do not have to have your head inside the scanner the way you would with a full-body CT scan, so you are less likely to feel claustrophobic during the procedure. How long does the cardiac CT scan take? The procedure is fairly quick, and should be done within 15 minutes. Why do I need to have an injection before the scan? 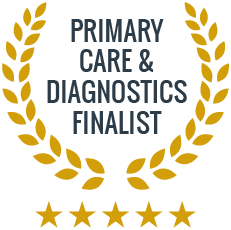 The contrast dye injected into your bloodstream allows for a clearer picture to be generated of the heart and surrounding blood vessels, ultimately ensuring you get a better diagnosis.